Tipping is valued in the restaurant industry. This is especially true in areas that make tipping an automatic behavior after every meal, such as the United States. Tipping aids in compensating workers earning at least the minimum wage. Arrangements, such as tipped workers receiving all the tips, leaves the back of the house employees out of the circle causing unfair compensation within the staff. As a solution, different restaurants adopted tip pooling laws in their system. With the new regulations amended by the Department of Labor (DOL), we’ll break down the rules to see if tip splitting can benefit your restaurant. Before we get into the nitty gritty of it all, we first have to define the basics of tip splitting. What is considered a “tip”? According to the Internal Revenue Service (IRS), tips are given in cash, electronic payment (credit cards, debit cards, gift cards) non cash (tickets or other items of value), and pooled tips. Tips are listed to be part of income, therefore they are taxable according to federal law. Tip Credit According to TipMetric, tip credit allows employers to pay lower than the minimum wage, provided they receive tips that add up to their salaries, which means only tipped employees are qualified for tip credit. For example, a tipped worker does not reach minimum wage due to the lack of tips, the employer makes up the difference. Fair Labor Standards Act (FLSA) notes that the maximum tip credit is up to $5.12 per hour. Tip Pool Tip pooling requires all employees to place all tips made in a “pool” to be redistributed afterwards. This allows tipped workers, such as wait staff and bartenders, to share their tips with the back of the house, such as dishwashers and cooks. FLSA does not impose full contribution, however, employers may set the contribution as they please, as long as employees are well informed and agree to the terms beforehand. In all these cases, employers and managers cannot be included in the tip pool. According to the DOL Wage and Hour Division, employers need to meet a set of requirements for tip splitting: The amount of cash wage the employer is paying a tipped employee, which must be at least $2.13 per hour; The additional amount claimed by the employer as a tip credit, which cannot exceed $5.12 (the difference between the minimum required cash wage of $2.13 and the current minimum wage of $7.25; That the tip credit claimed by the employer cannot exceed the amount of tips actually received by the tipped employee; That all tips received by the tipped employee are to be retained by the employee except for a valid tip pooling arrangement to employees who customarily and regularly receive tips; That the tip credit will not apply to any tipped employee unless the employee has been informed of these tip credit provisions. Now that we run down of the basics,, let’s get to how we split the tips. Here we recommend two equitable methods, the Point System method and the Hourly Basis method. 1. Hourly Basis Traditionally, since salaries are based from on hours an employee clocks in and out of the workplace, it wouldn’t come as a surprise if employers adopted this standard for tip splitting. Distributing tips based on hours worked distinguishes those who are working full time and part time. Let’s use Tipmetric’s example for tip percentage. The total amount of pooled tips is divided by the total hours of all the servers during the shift. Then, the answer is multiplied by the hours worked per server. Total of pooled tips = $900 Server A = 8 hour shift Server B = 6 hour shift Server C = 4 hour shift Total hours worked by all servers = 18 Server A: (900/18) x 8 = 400 Server B: (900/18) x 6 = 300 Server C: (900/18) x 4 = 200 We now have calculated tips ready for distribution from an hourly basis. 2. Point System Lavu, a POS system provider, mentions that the point system method is the most effective, as it fairly distributes tips among employees set by assigned points. Here’s a sample scenario set by Snagajob: During one evening, there are five servers, three bussers, one expediter, and two bartenders. The five servers were able to bring in $2,000 worth of tips with the help of the staff members. The manager then pre-assigns points for each staff position. To compute for the value of a single point for this night shift, add up the total tips made and the total points of the staff. Five servers (10 points each) = 50 points Three bussers (5 points each) = 15 points Two bartenders (5 points each) = 10 points One expediter (5 points) = 5 points Total points = 80 points $2000 worth of tips is divided by 80 total points which equals to $25 per point. Once you got that down, multiple $25 with the number of points each staff member has and you’ll end up with the breakdown of tips for distribution. Server: 10 points x $25 point value = $250 Bartender: 5 points x $25 point value = $125 Busser: 5 points x $25 point value = $125 Expediter: 5 points x $25 point value = $125 Contrary to the sample set above, some restaurants consider putting more points on those working at the back of house due to their labor intensive jobs. The point system ensures that everyone in the staff is well compensated from the moment the customer walks in the restaurant up until the customer leaves. After establishing the best methods for pooling tips, it is necessary to implement tip reporting in order to track employee tip credit accurately. Tip Report Tip reporting requires employees to keep track and report tips made to employer every month, provided they earn at least $20 worth of tips. If tips do not reach $20, tips are filed as part of income on tax returns or pay taxes, if applicable. Here are the necessary documents for tip reporting. For employees: Form 4070 (Employee’s Report of Tips to Employer) For owners: Form 8027 (Employer’s Annual Information Return of Tip Income and Allocated Tips) Tip reporting is especially applicable to large food and drink businesses with more than 10 employees working more than 80 hours, and are employed on a typical business day during the preceding calendar year. In an industry where tipping is a customary practice, it’s great to practice transparency by educating yourself and your employees on the requirements needed for tip reporting. Tip Benefit According to Upserve, some restaurants in California strive to stay in business since the minimum wage continues to rise. Problems such as having a big staff on slow days, when only a few employees were needed for the job, affects a restaurant financially. This situation can be avoided by having a scheduling system that easily monitors and adjusts shifts for slow days. By having employees compensated with the tips they receive, the employer can focus on other expenses around the restaurant, such as emergency repairs. For convenience, it’s best to utilize an online tip splitting feature for easy computation. And while you’re at it, add some creative tip jar names on the cashier counter. Since some employees make more in tips than in salaries, tip credit can come in handy, especially for restaurants located in the most competitive areas. Sharing tips with employees, based on hourly basis or point system, can guarantee equal compensation for everyone in the staff. Learning to report tips can encourage an environment of fairness and transparency by monitoring and declaring tips to the government. All in all, tip splitting is a good idea to delve into for your restaurant business. The equity of tip pooling helps in conditioning happier staff members which can lead to happy customers. Tipping is valued in the restaurant industry. This is especially true in areas that make tipping an automatic behavior after every meal, such as the United States. Tipping aids in compensating workers earning at least the minimum wage. Arrangements, such as tipped workers receiving all the tips, leaves the back of the house employees out of the circle causing unfair compensation within the staff. As a solution, different restaurants adopted tip pooling laws in their system. With the new regulations amended by the Department of Labor (DOL), we’ll break down the rules to see if tip splitting can benefit your restaurant. Before we get into the nitty gritty of it all, we first have to define the basics of tip splitting. What is considered a “tip”? According to the Internal Revenue Service (IRS), tips are given in cash, electronic payment (credit cards, debit cards, gift cards) non cash (tickets or other items of value), and pooled tips. Tips are listed to be part of income, therefore they are taxable according to federal law. According to TipMetric, tip credit allows employers to pay lower than the minimum wage, provided they receive tips that add up to their salaries, which means only tipped employees are qualified for tip credit. For example, a tipped worker does not reach minimum wage due to the lack of tips, the employer makes up the difference. Fair Labor Standards Act (FLSA) notes that the maximum tip credit is up to $5.12 per hour. Tip pooling requires all employees to place all tips made in a “pool” to be redistributed afterwards. This allows tipped workers, such as wait staff and bartenders, to share their tips with the back of the house, such as dishwashers and cooks. FLSA does not impose full contribution, however, employers may set the contribution as they please, as long as employees are well informed and agree to the terms beforehand. In all these cases, employers and managers cannot be included in the tip pool. Now that we run down of the basics,, let’s get to how we split the tips. Here we recommend two equitable methods, the Point System method and the Hourly Basis method. Traditionally, since salaries are based from on hours an employee clocks in and out of the workplace, it wouldn’t come as a surprise if employers adopted this standard for tip splitting. Distributing tips based on hours worked distinguishes those who are working full time and part time. Let’s use Tipmetric’s example for tip percentage. The total amount of pooled tips is divided by the total hours of all the servers during the shift. Then, the answer is multiplied by the hours worked per server. We now have calculated tips ready for distribution from an hourly basis. During one evening, there are five servers, three bussers, one expediter, and two bartenders. The five servers were able to bring in $2,000 worth of tips with the help of the staff members. The manager then pre-assigns points for each staff position. To compute for the value of a single point for this night shift, add up the total tips made and the total points of the staff. $2000 worth of tips is divided by 80 total points which equals to $25 per point. Once you got that down, multiple $25 with the number of points each staff member has and you’ll end up with the breakdown of tips for distribution. Contrary to the sample set above, some restaurants consider putting more points on those working at the back of house due to their labor intensive jobs. The point system ensures that everyone in the staff is well compensated from the moment the customer walks in the restaurant up until the customer leaves. After establishing the best methods for pooling tips, it is necessary to implement tip reporting in order to track employee tip credit accurately. Tip reporting requires employees to keep track and report tips made to employer every month, provided they earn at least $20 worth of tips. If tips do not reach $20, tips are filed as part of income on tax returns or pay taxes, if applicable. 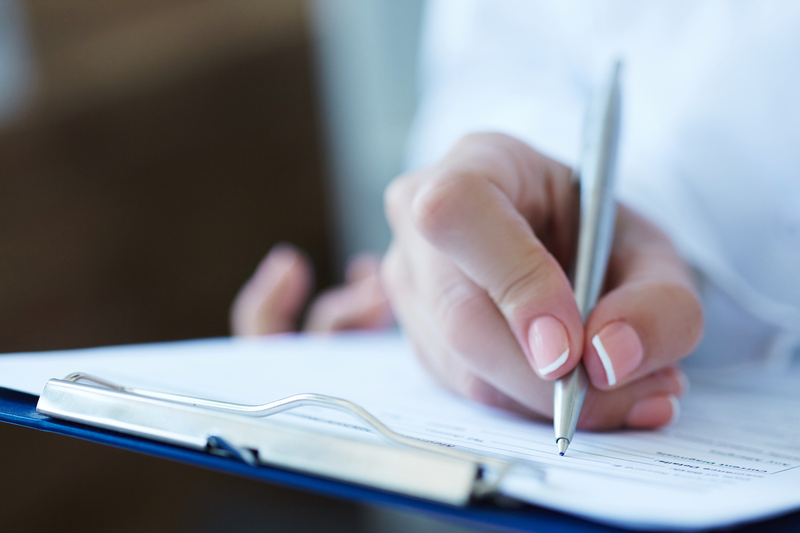 Here are the necessary documents for tip reporting. Tip reporting is especially applicable to large food and drink businesses with more than 10 employees working more than 80 hours, and are employed on a typical business day during the preceding calendar year. In an industry where tipping is a customary practice, it’s great to practice transparency by educating yourself and your employees on the requirements needed for tip reporting. According to Upserve, some restaurants in California strive to stay in business since the minimum wage continues to rise. Problems such as having a big staff on slow days, when only a few employees were needed for the job, affects a restaurant financially. This situation can be avoided by having a scheduling system that easily monitors and adjusts shifts for slow days. By having employees compensated with the tips they receive, the employer can focus on other expenses around the restaurant, such as emergency repairs. For convenience, it’s best to utilize an online tip splitting feature for easy computation. And while you’re at it, add some creative tip jar names on the cashier counter. Since some employees make more in tips than in salaries, tip credit can come in handy, especially for restaurants located in the most competitive areas. Sharing tips with employees, based on hourly basis or point system, can guarantee equal compensation for everyone in the staff. Learning to report tips can encourage an environment of fairness and transparency by monitoring and declaring tips to the government. All in all, tip splitting is a good idea to delve into for your restaurant business. The equity of tip pooling helps in conditioning happier staff members which can lead to happy customers. Cash Tips vs. Credit Card Tips: How different are they? Tipping in the restaurant industry, especially in the US, is extremely important. It’s as important as having a great head chef leading your back kitchen during a hectic dinner service. If you’re a restaurant owner, you should take tipping very seriously. Not just because tips are helpful to your business but because it also helps your employees earn the wages they need to pay for their cost-of-living. This being said, it’s helpful to be aware of the kinds of tips your restaurant staff are receiving as a restaurant owner. Just to get the obvious out of the way, any kind of tip is a good tip. Whether it’s from cash or credit cards, either option generally has no benefit or drawback for you and your business. What it all boils down to really is how it affects your employees’ wages, which leads into your employees’ happiness and ultimately your business’ workforce success. 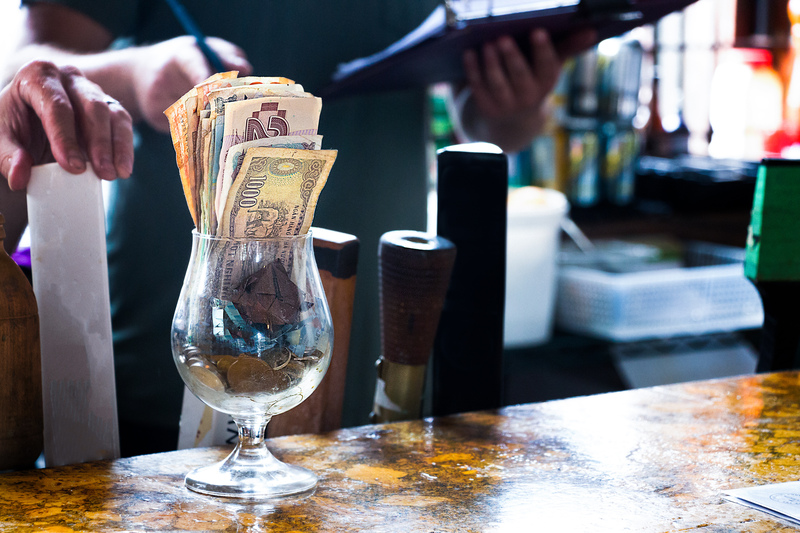 So let’s take a look at how these different modes of tipping can affect you and your staff. Cash Tips When we’re talking about modes of tipping in terms of your restaurant staff, cash tips are generally preferred. Why? That’s because cash is fast money. t can be taken home by your staff at the end of the night to use it on whatever expenses they might have. Compared to credit card tips, cash tips are easier to count and split amongst your servers, making it possible for them to bring home tips right after dinner service. Another benefit of cash tips is that they don’t have to claim all of their tips on their taxes. People are generally taxed on how much they take home in tips, so it’s in their interest to lower the amount they declare so that they’re taxed less. It’s not that we’re condoning people to resort to tax evasion but servers are taxed on how much they take home in tips so it’s in their interest to lower the amount they declare. It’s simply a way of life. However, even though cash tips seem generally more beneficial, it can pose some headaches for both the server and the restaurant manager or owner. For the servers, the way tips are pooled or split can mean they go home with less, which could end up being a headache for the manager in terms of keeping employees happy. Another issue could be with the amount that the customers can tip in cash. Nowadays, being cashless is becoming more the norm, which could lead to your restaurant staff being short changed on cash tips. And finally, cash tips will be harder to keep track of should you need to take note. Credit Card Tips With the appearance of mobile card readers and digital payment technologies, it has become incredibly rare to carry cash around. This made credit card tips all the more popular for people to use. But what does it mean for your staff exactly? On the upside, credit cards have helped increase the ability for people to be able to tip their servers. If customers don’t have enough cash handy for tipping the restaurant staff, they can always pay their gratuity via plastic. According to Daniel Post Senning of the Emily Post Institute, “Tipping on credit really opens up the possibility to tip exactly what you feel comfortable tipping,” he continues “I think it makes it more possible for more people to tip—it’s not as easy to offer the excuse, ‘Oh I just didn’t have the right change in my pocket so I didn’t do it’, or ‘I did a small amount.’” Another good thing about credit card tips is that all transactions are easily tracked and recorded so that you know you’re tipping out to your staff fairly and accurately. One thing’s for sure, transparency and fairness are always welcome in any business with this system. Seeing as how cash tips are more preferred than their credit card counterparts, there are a bit more drawbacks in receiving credit card tips. One major drawback for staff would be on its timeliness. Since the tip given to your staff isn’t physically present, you as the restaurant manager or owner must check the receipts to determine how much cash each of your servers are owed — which takes time. Your business might also be the type that places credit card tips in the next paycheck — an even longer wait for your staff. Lastly, one of the bigger setbacks in receiving credit card tips are the credit card fees. Merchants have to pay a small fee to the credit card company for each payment processed. It makes sense that the best place to get the payment for those fees are from the credit card tips themselves, which will unfortunately leave less for your staff to take home in the end. What’s the best tip for your restaurant? Which kind of tip would be the best for you and your business? As stated earlier in this article, there is generally no benefit or drawback when it comes to what kind of tip you receive. You could decide to push for cash tips from your customers to give your staff more spendable income by the end of each day or you could decide to go for credit card tips to keep track and stay compliant. But at the end of the day, no matter what you choose, just make sure that it’s you, your business, and your workforce that comes out the winner in the battle of credit card tips vs. cash tips. The importance of tips in the restaurant industry, especially in the United States, cannot be understated. 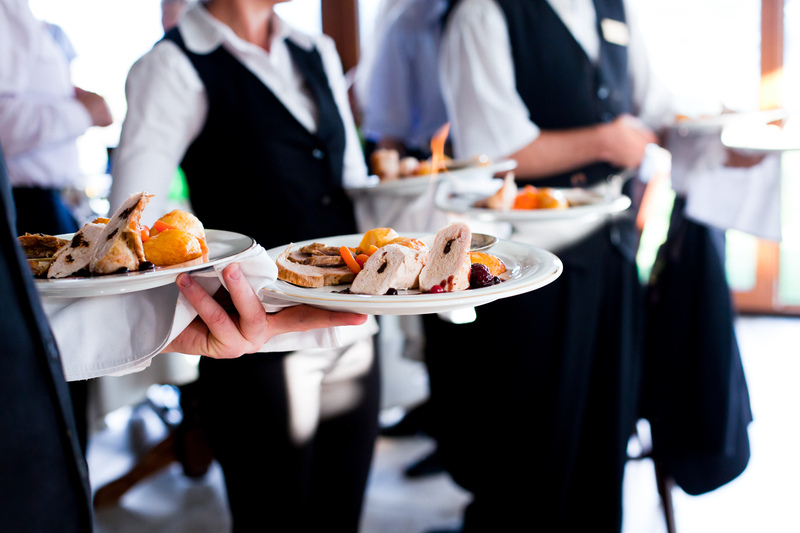 Restaurant tips are known to make up the bulk of a server’s salary which makes it plain to see why it’s so important. This is why more and more restaurants have resorted to tip splitting methods to make sure each of their employees get a piece of the tipping pie so to speak. Tips are usually given to the front of house staff by customers after their meal. These tips are then split amongst all the workers after dinner service. This makes it a must for both the waitstaff and kitchen staff to be at their best and offer great service for a bigger pool of tips. But happy customers with open wallets and credit cards ready to reward great service after a meal are not the only way to go about receiving tips. The tip jar is one of the most popular alternatives. Tip jars are said to have existed hundreds of years ago. A 1946 editorial in Life claimed that English taverns used to prominently display urns that were labelled ‘To Insure Promptitude’. This is said to be the first ever recorded sighting of a tip jar. Sure enough, tip jars are still being used today, especially with the introduction of digital tip jars. This is where customers leave credit card tips by inputting their desired tip amount into payment terminals in establishments. But is cash still okay to use for tips you ask? Physical tip jars that allow you to receive cash tips are still very popular today, especially in the United States. According to a few studies, cash is still very much a preferred mode of payment for employee tips due to the following reasons: 1) It’s fast money and 2) It’s income you can use right away. This makes cash a big hit with all kinds of service staff regarding their wages. Alas, even though physical tip jars are still widely used, it’s a whole other story to get people to actually drop cash in these jars. Your tip jar has to be able to catch your customer’s eye or tickle their funny bones enough to get them to want to support your business and support your staff as well. Take a look at these funny tip jars that you can use! Offer to help your customers with their troubles. Be honest with your customers about needing help with your passion. A post shared by Jillian Thomas (@jillianthomascanadianinny) on Jun 28, 2018 at 9:48pm PDT Your customers might appreciate a little self-evaluation. A post shared by Clarity Belle (@claritybelle.chic) on Jun 29, 2018 at 2:35am PDT Get your customers to engage in healthy debate. A post shared by Ashleigh Costanza (@ashcostanza) on Jun 9, 2018 at 5:41pm PDT Here’s a tip. Song lyrics are always a hit. A post shared by Levi Burton (@the_vanilla_guerrilla) on Jun 10, 2014 at 8:43pm PDT Give your customers a little history lesson A post shared by Brett Parker (@mustachedmotherlover) on May 21, 2018 at 11:54am PDT Get your customers to contribute to a cause they believe in. A post shared by Sean Murphy (@murphyseank) on May 19, 2018 at 1:23pm PDT Sometimes a little toilet humor can help. A post shared by Dirty South Band (@dirty_south_band) on May 12, 2018 at 8:00pm PDT Your customers can help save a life A post shared by Stephan V. Jupinko (@traveler7890) on Jun 28, 2018 at 10:40am PDT Finally, your customers can also help fund scientific research A post shared by Tip Jar Jams (@tipjarjams) on Jun 19, 2018 at 10:00pm PDT These are just a few quirky tip jar ideas that will help your customer think about giving you their loose change. With just a hint of creativity, you can help increase your tip pool to be split amongst your employees. Got a funnier tip jar idea? Send us your ideas on Facebook!